If there's one golden rule about marketing and sales, it's that the more time and muscle you put in to your efforts, the more you'll get out of your hard work. This is true for inbound marketing, just as it is for conventional outbound marketing tactics. There's no distinction between inbound for B2B and B2C businesses; your success ultimately depends on what resources you can allocate for inbound. Of these resources is the most valuable of all: time. Inbound marketing is the art of generating organic growth. Helping people and businesses identify and resolve specific pain points is the name of the game. Through inbound, your buyers effectively qualify (or disqualify) themselves on their own. A specific form submission here or click there can filter your highest sales potential leads from lesser quality leads. That's how effective conversion elements work. What all of this means, however, is that leads come to you when you're practicing the inbound methodology; and, of course, you can't force the hands of your qualified organic leads. This brings us to the main question of this article: "How Long Does it Take to See Results From Inbound Marketing?" If you're looking for overnight floods of hot new leads and closed sales with inbound - or any other marketing strategy, for that matter - we've got some harsh truths for you. Everyone wants to grow their business and attain new success. No business owner on the face of the planet would have a problem with new leads sprouting up quickly. However, the organic conversions and lead nurturing tactics that are cornerstones of inbound take time. It's called the "Buyer's Journey," not the "Buyer's Quick Sale." Inbound marketing is growth over time. Right off the bat with inbound, a foundation is laid for organic search growth. All pages of content, existing and new, will be equipped with SEO keywords and related content. The goal of inbound marketing is to grow a business with organic, user-dictated means. By "user-dictated," we mean that the leads you collect with inbound will exist because they found you online; because a blog article, content offer or deliverable you provide directly addresses the problems those leads are facing. Selling to online audiences doesn't work anymore. Offering actual solutions and value is why inbound works. In the first six months of inbound marketing, you can expect to build the framework for larger-scale inbound growth in Months 1 and 2, and the first real traction (lead generation and site visitor increases) in Months 3 and 4. By the six month mark, you can compare leads and visits to your starting figures, and determine a rate that will generally show you what you can expect continuing with inbound marketing. Of course, we say "generally" because some tactics work better for certain businesses/industries than others. While you could knock it out of the park in Q2 with a high quality ebook or infographic, you may find greater success in Q3 with social media campaigns. 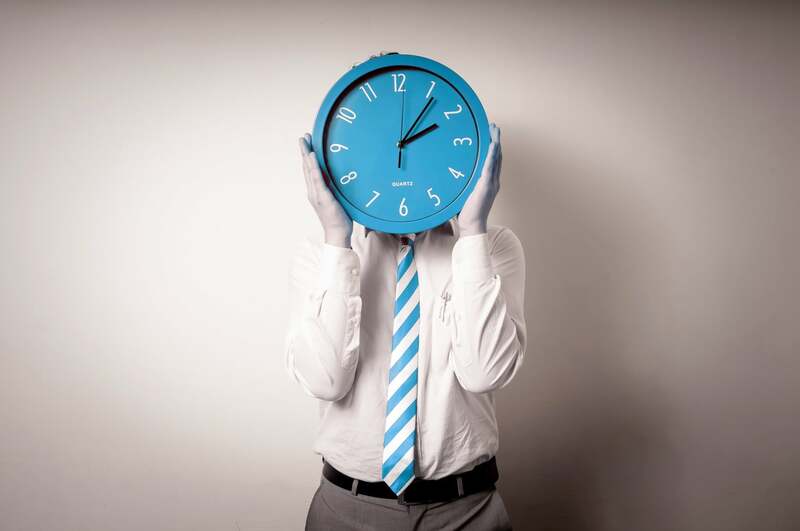 Time and investment level (are you all-in with inbound or passively engaging?) will have the greatest impact on your ultimate success. "If you’ve just started blogging for your business, chances are the domain for your blog is brand new. Search algorithms like Google’s often value older domains with a reputation, so it’s a good rule of thumb to allow around six months to really start gaining traction from search engines." "How Long Until You See Results From Blogging?" The reason we're so invested in inbound marketing is because we see inbound's success every day. We live and breathe inbound, and use that drive to reach new levels of success for ourselves and the businesses we work with. In the past year, we've ramped up our own inbound marketing efforts and began publishing fresh content on a much more regular basis. We are able to do so by getting our entire team involved in blogging, videos, graphics and social media content. As a result, we've seen our monthly visitors double since May 2015. These results are typical of businesses that adopt inbound marketing, and certainly not limited to our own inbound marketing strategy. As you can read in our case study for New York-based identity and access management firm, Identropy, thorough keyword research and consistent blogging expanded the firm's blogging audience by just shy of 70% in just four months. 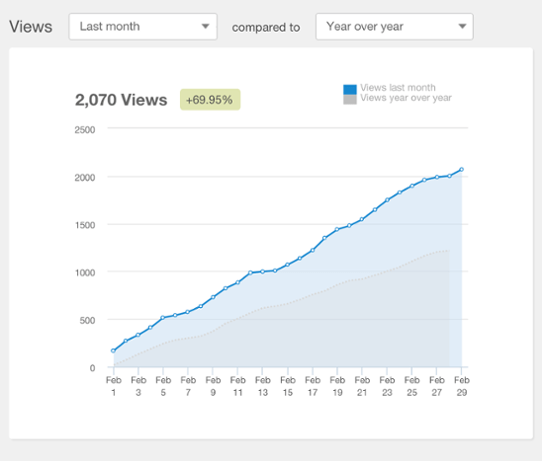 Using the inbound methodology, Identropy was also able to boost user engagement with their blog and increased blog subscribers by 60% in the same four month time period. Success with inbound doesn't happen overnight, but rather comes after full adoption - going "all-in." Similar results are analyzed in our case study for South Florida-based VoIP leaders, nexogy. 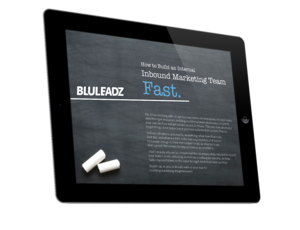 Prior to fully adopting the inbound methodology, the business was not promoting gated, lead-generating content and had some major hurdles to overcome with their blogging strategy. However, in the first three months of adopting inbound marketing, the company increased generation of new contacts (also known as new leads) by over 630%. So, there you have it. 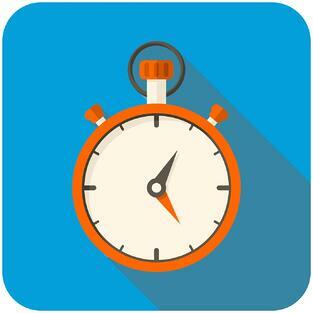 There's no one answer for how long it'll take your business to find success with inbound marketing. The results you see vary based on your investment in the inbound methodology, your industry (typical sales cycle) and, above all else, time.